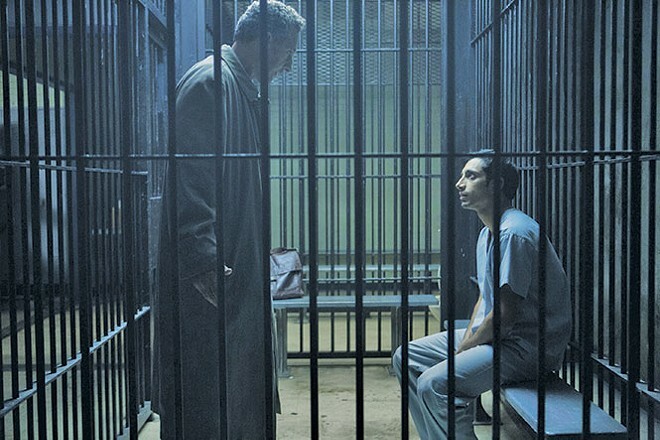 The Night Of takes on the (in)justice system; Mr. Robot is back for the re-hack. Series Debut: One review has already beaten me to the punch in tagging HBO's new crime miniseries The Night Of "The longest, bleakest Law & Order episode ever," but I'll press on. Novelist/screenwriter Richard Price (Clockers, The Wire) and writer/filmmaker Steven Zaillian (A Civil Action) spend eight episodes chronicling eight bad, bad days in the life of Nasir Khan (Riz Ahmed), a New York City college student who thinks he's lucked into Manhattan party of the year—until he wakes up covered in blood next to a girl who's been stabbed to death. Much tense and ssslllooowww drama unfolds from there, with none-too-subtle callouts to an overtaxed justice system, the constant state of surveillance we live in, racial profiling and, of course, The Wire (Michael Kenneth Williams!). More so than True Detective, The Night Of is an intricately produced downer of an art flick for crime nerds, but it still Law & Orders so hard that you half-expect Ice-T and Richard Belzer to cross in the background. Season Premiere: The biggest surprise about Season 3 of "famed adventurer" Bear Grylls' (not to be confused with "famed insurance adjuster" Bear Grylls) celebrities-in-wilderness-peril-but-not-really reality show? Actual celebrities: Courteney Cox! Vanessa Hudgens! Nick Jonas! Lindsey Vonn! That's more bona-fide stars than have been featured on 45 seasons of Dancing With the "Stars," if not the Sharknado franchise. First up on tonight's season premiere is Julianne Hough, a perfectly lovely dancer/singer who nonetheless deserves to be thrown off African cliffs and waterfalls, and threatened by elephants and snakes, because of the painful "acting" she's inflicted upon the 'Merican public. (Ever seen Rock of Ages? Safe Haven? Grease: Live? She's getting off easy here). Season Finale: When Maya & Marty first premiered, I told you that the stars and the setup instilled "more confidence than the network's previous variety-show attempt, Best Time Ever with Neil Patrick Harris." If I strangled your toddler to death and then used the corpse to beat your grandmother into a coma while blasting some Florida Georgia Line jams from my Confederate-flag-and-TruckNutz-adorned Dodge Ram, I'd still feel more obligated to apologize for kinda-recommending Maya & Marty. Whereas Best Time Ever at least tried some new tricks ("new" meaning "stolen from James Corden and Jimmy Fallon"), M&M is just an undead collection of rejected Saturday Night Live sketches for Maya Rudolph and Martin Short to shamble though like The Walking Dead gang smeared in zombie guts, desperately trying to avoid attention. Again, sorry (to you too, NPH). Season Premiere: It defies all logic that Billy Eichner would be tolerable in larger "acting" doses than he was in brief Parks and Recreation bursts (his Billy on the Street series doesn't count—he's meant to be insufferable there), but Difficult People works, hilariously. Along with co-star Julie Klausner, Eichner makes the daily kinda-grind of being self-absorbed New Yorkers who hate everyone but each other sing like an off-Broadway musical about frustration, contempt and loathing that their characters would love to see, but getting to that part of town would be too much of a bother—because who cares, anyway? Eichner and Klausner are great here, but it's James Urbaniak (The Venture Bros.) who steals the show. Don't miss another season of Difficult People.